The 1%, who for the first time in history now own over half the global economy, are still experiencing unforeseeable problems spreading wealth to the world’s poor. 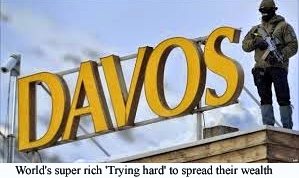 According to their spokespeople the world’s super rich they have been trying to share their incredible wealth with the poor since the invention of money. But as hard as they have tried something has always gone wrong and their plans have blown up in their faces with the wealth accidentally bouncing of the poor and coincidentally landing back in the bank account’s of the wealthy. Now some members of the poor are becoming suspicious about the real aims of the rich with some radicals even thinking that they are not trying to spread they wealth at all but relentlessly keeping it for themselves. This entry was posted on 19 February, 2015 in homepage and tagged Ethan Harrison, satire, spoof news. Bookmark the permalink.